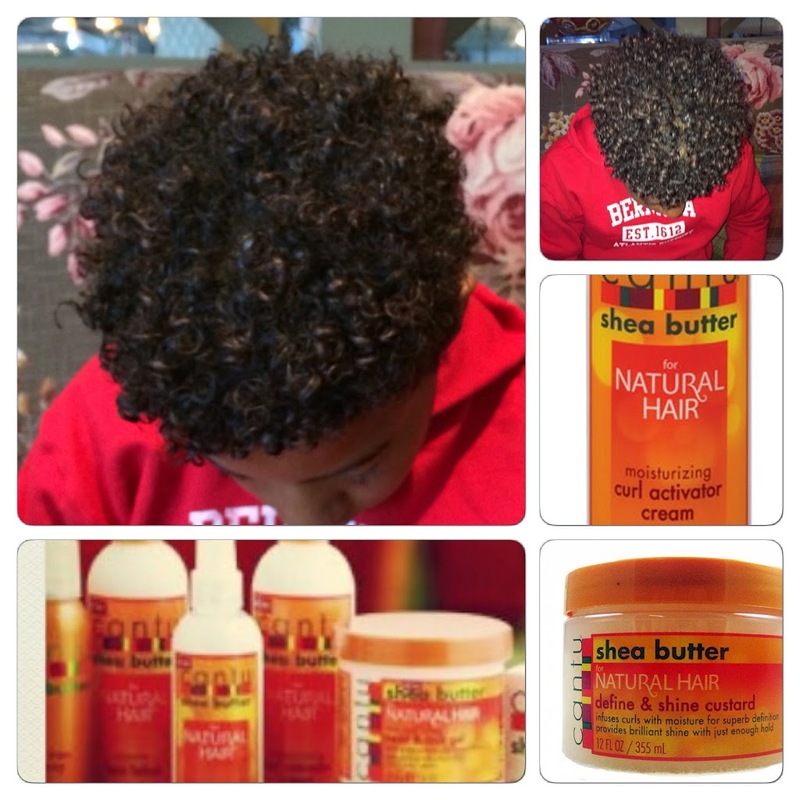 Natural hair care is important for everyone. We use Cantu Shea Butter products to maintain the natural texture of the male natural in our house. It’s important to help your male naturals to understand the necessity for maintaining moisture and using products that do not clog their pores. It makes no sense to style your hair then treat your acne!! Cantu Moisturizing Curl Activator Cream activates curls, delivers, volume and adds shine and produces frizz free, smooth, bouncy curls. Formulated to infuse curls with moisture for superb definition and brilliant shine. Plus, reduces hair bulk, elongates curls and provides enough hold for great 2nd and 3rd day hair. Translation – sets his curls and ensures that definition is maintained throughout shirts going over head, hats going on and off head and general teen boy wear and tear.